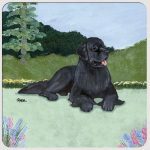 Our Newfoundland dog figurines do a great job replicating the real breed. 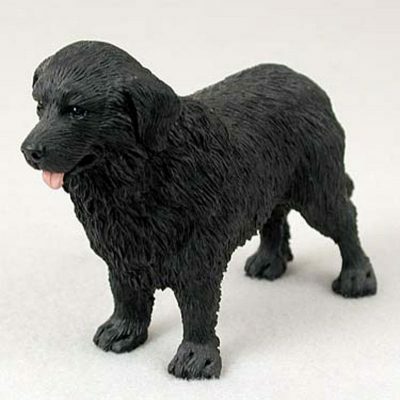 The entire figurine is made up of black with a pink tongue. 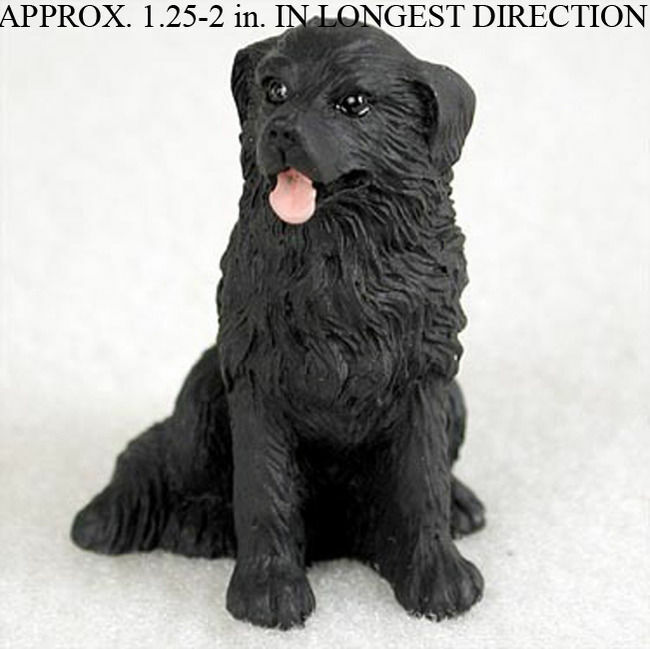 The build of the figurine is large throughout the entire body but not so large to hinder the breed’s balance. Parallel forelegs and hind legs help balance the large figurine. 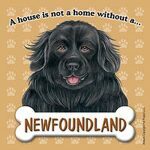 Did you notice how large the paws are on our Newfoundland figurine (More info below)? The wide and strong body pairs well with a broad head that contains a well balanced muzzle and medium ears that hang over the sides of the skull. 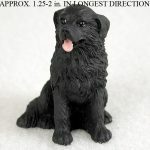 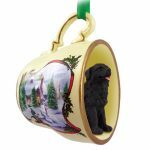 The Newfoundland dog figurine’s exterior coat is flat, long, and coarse. 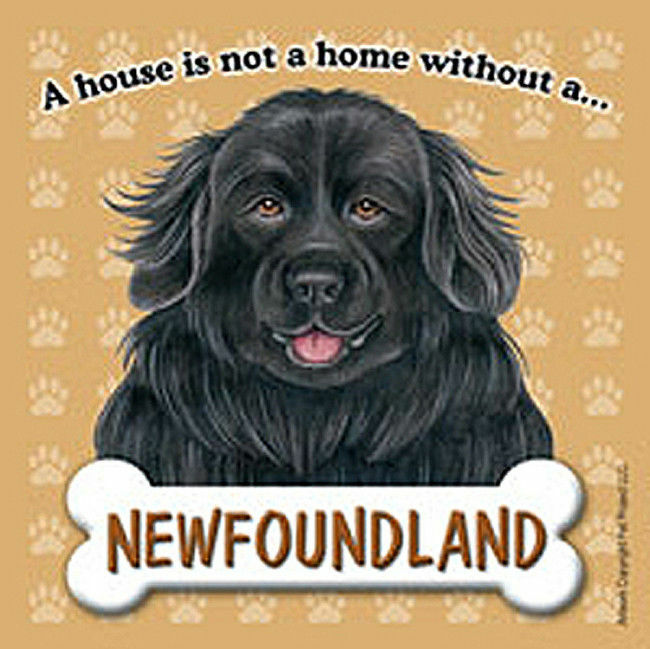 Well-made, accurate depiction of a Newfoundland.